Start Ranking Higher in Sydney! We offer professional SEO services in Sydney that actually work! No business is the same, therefore, none of our services are identical. Each business is catered to according to demographics, industry, targets, age, gender, etc. We are so confident in our services, that (unlike our competitors), we do not lock you into long-term contracts/commitments. All our agreements are run on a month-to-month basis. Focusing on the right keyword(s) for the Sydney market is an important part of the whole process and hence, our team will help research keywords using our specialised internal tools, once identified we can help focus on those keywords which in turn will result in better results. We will optimise each page on your website like it is our own. Leaving just one page un-optimised can be detrimental to the overall health of your website ranking. 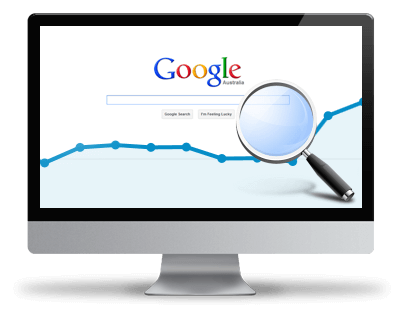 Are you looking for a Sydney Search Engine Optimisation (SEO) that will actually deliver you results? Well, our website speaks for itself. You found us, right? We can help your business stand out in the midst of a city as large as Sydney! If you are looking for a proficient and professional team to handle your digital marketing requirements then look no further. never look further than the top 4 results. There are many factors which determine when you should start to see results. Unfortunately, these are ultimately controlled by the search engine algorithms themselves. However, generally speaking you should start to see results within 45-60 days. One of the biggest factors which can often cause delays is how old your domain name is. For example, if you registered a brand new domain today, it will take longer to see results compared to someone who has a domain name which is over 3 years old. There is many valid reasons for this. In time past, you used to be able to literally place 100+ keywords at the bottom of your website page and search engines would pickup these keywords and rank you higher.. unfortunately, gone are these days and now search engines just complex algorithms to test the authenticity of your website optimisations. We have extensive experience in optimising any website which will achieve both organic and non-organic SEO results. We don’t believe in locking people into contracts. We are confident that you will achieve significant results that you would want to continue utilising our services. All our SEO services are on a month-to-month basis. As mentioned above, every business is different. Each business has different target markets and goals. Therefore, we quote each job differently based on the goals and targets in mind. Feel free to contact us for an obligation free quote. Want to discuss SEO with someone?